When Abdulfatah Ayoola laid his hands on and prayed for Fawad, his son, he never knew that would be his last time of doing so. In the six years that the deceased spent on earth, the father prayed for him regularly but hardly had the request come from the boy. Fawad got to school, cheered his classmates and settled down for the day’s teaching without knowing it was his last day on earth. 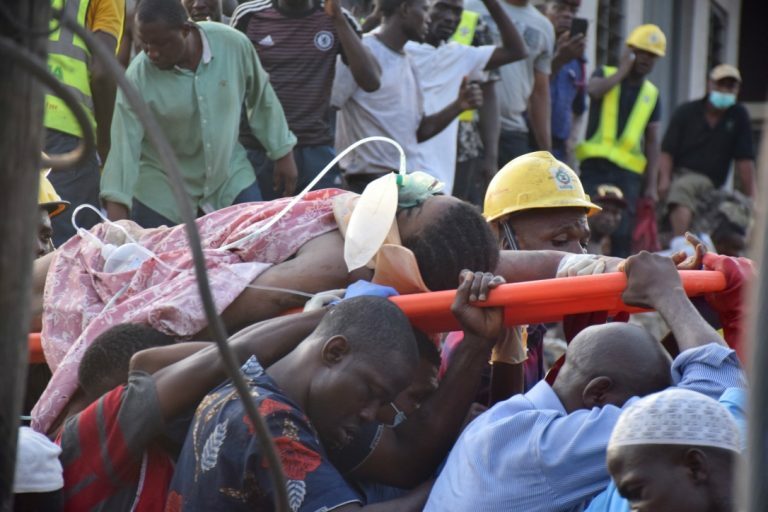 By 2pm, his corpse was retrieved from the rubble of the building that collapsed in the Ita-Faaji area of Lagos Island. The three-storey building had a school inside it. When Akinwunmi Ambode, the governor, visited the scene, he said the school operated illegally. 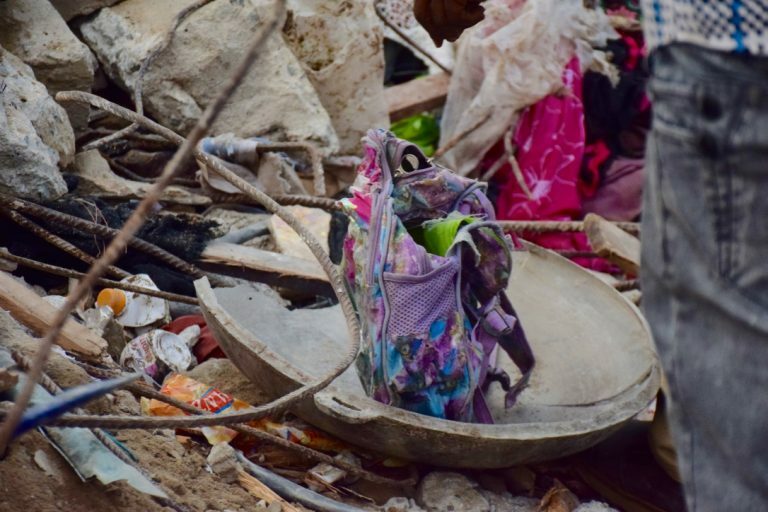 Residents also said the collapsed building had been marked for demolition and the occupants given notice to quit. But all these mean nothing to the families of Ayoola and all those who lost loved ones in the incident. “He woke up late for school today. After taking his breakfast, he requested for money but I told him there’s no need for money since he has his lunch with him. Then he said, ‘daddy, pray for me before I go’, and I did exactly as he requested. He walked to school which is just few metres from the house,” Ayoola said fighting back tears. Neighbours had assembled in his two-room apartment. As the men in the living room consoled him, the voice of women crying in the inner room echoed into the living room. It was an atmosphere of gloom. “I don’t think I can sleep tonight. My late son and I did almost everything together; we ate together, prayed together, spent time discussing. I was introducing him to life because he was my eldest child,” Ayoola said. The man of the house broke down in tears, narrating how he contemplated enrolling Fawad in another school but did not go ahead with the plan because his late son was rounding off his primary education. “I visited Kings’ College not too long and liked the academic atmosphere. and I was assured that an interview date will be communicated to me soon but now I can’t take him there anymore because Fawad is gone. Fawad has been buried at the Ikoyi cemetery in accordance with Islamic rites. TheCable gathered that the school had over 120 pupils. Of this figure, nine have been confirmed dead, some rescued and taken to the hospital while many are still trapped. 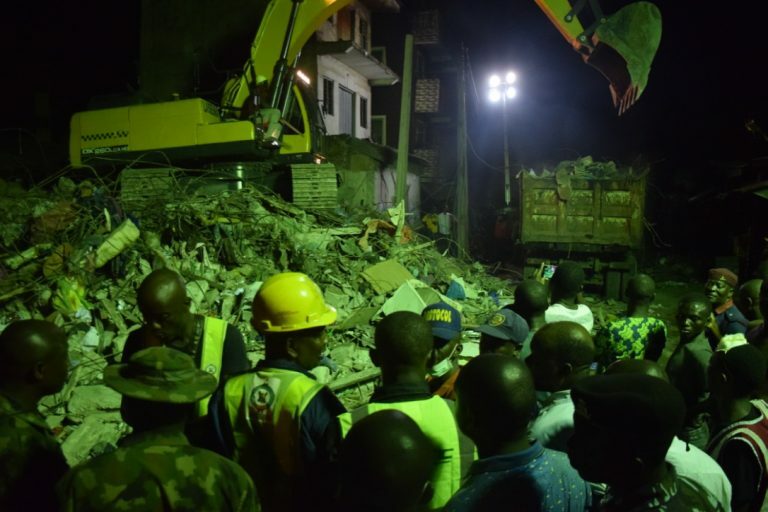 Officials of the Lagos State Emergency Management Agency (LASEMA) and other rescue agency were still at the scene when TheCable left the place at 8pm on Wednesday. Ambode has promised that a full-scale investigation would be carried out but for now many are counting their losses.